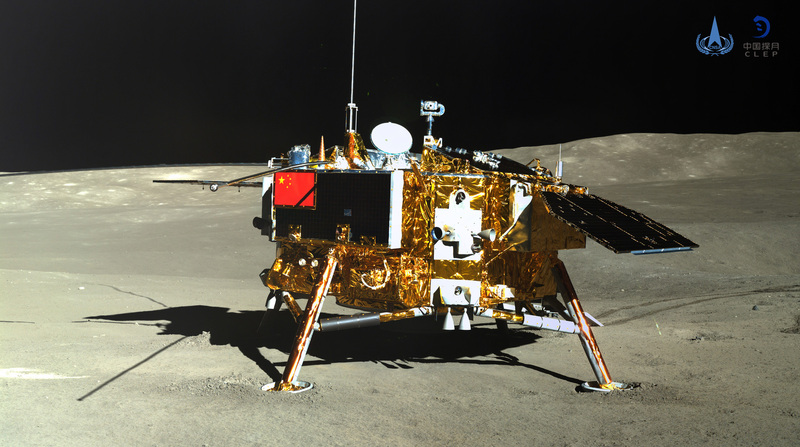 Change four- CNSA- China National Space Administration -Belt and Road Initiative partners exploring on the dark side of the moon -Van Karam Crater..
On the third of January 2019, in Beijing, China Capital held a press conference at the SCIO – State Council Information Office of China of the first time historic mission in which to land a lunar rover also a platform on the dark side of the moon… In which it’s the first country to do so… in collaboration with CNSA- China National Space Administration among with its Belt and Road Initiative partners.. in which it landed on third of January 2019, only to be launched after a previous launching from few months ago to set up communications relay network on the far side orbit of the moon to establish a continuous communications in a figure eight pattern . Communicating with the Queqiao relay satellite with the ground operators at CNSA that was deployed a 20th May 2018 that followed on seventh of December 2018, it was Change4 time to be launched also awaiting in orbit to make the right landing spot within the Von Karman crater a 180 Kilometer diameter Crater.. The press conference held at Beijing , along with Wu Yanhua the vice administrator of the China National Space Administration and deputy chief commander of China lunar exploration program; Wu Weiren, academician of Chinese Academy of Engineering; Sun Zezhou, chief engineer of the Chang’e-4 probe and several other experts are present to answer questions from the media. Along with the Press conferences, there was other articles of CNSA Partnership launches that are coming along its way with the Change 6 mission is set out to be launched later 2019 calendar in which will land on the south pole of the moon. Collect samples then return to Earth for study..